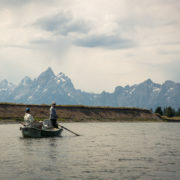 We are having some gorgeous Fall days in Jackson Hole lately, and the fishing is great. It has been warming up nicely mid-day and we’ve seen some bugs hatching. Blue wings are out in force and the fish are looking for them. 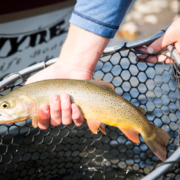 Mahoganies and October caddis are also flying around and can get a look from eating fish. Cooler mornings mean its a good plan to fish a dry dropper set up. Smaller nymphs have been working well. 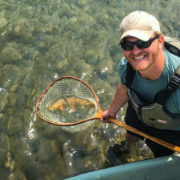 Try out the dry fly as bugs pop out and the day heats up! 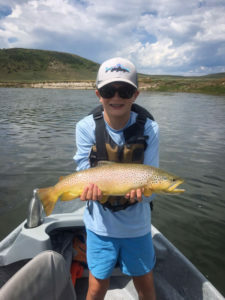 A 22 inch brown trout caught on the Green river. 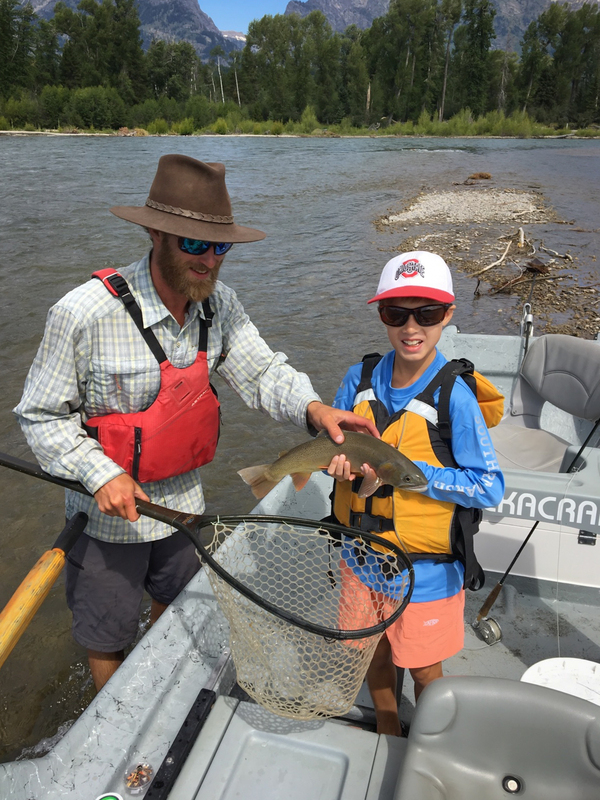 The tributaries to the Snake are clearing well, and it is improving the fishing every day. With increased clarity we are seeing more fish come to the surface. Chubby chernobyl’s are getting some good looks, and are a great option with a dropper below it. We have had success below the surface on Pat’s rubber legs, prince nymphs and worms. Catching rainbows on the Green. The Green is still seeing good drake hatches. Water temps are warming a bit in the afternoon, so your best bet for big fish is earlier or later in the day. If the fish aren’t rising to the drake try nymphing with a prince or hare’s ear, or swing a sparkle minnow. It’s been a mixed bag on the spring creeks this week. Fish have been caught on a variety of mayflies, foam flies, mayfly nymphs and streamers. The creek water is cold and the fish are happy! Great catch on Fish Creek. 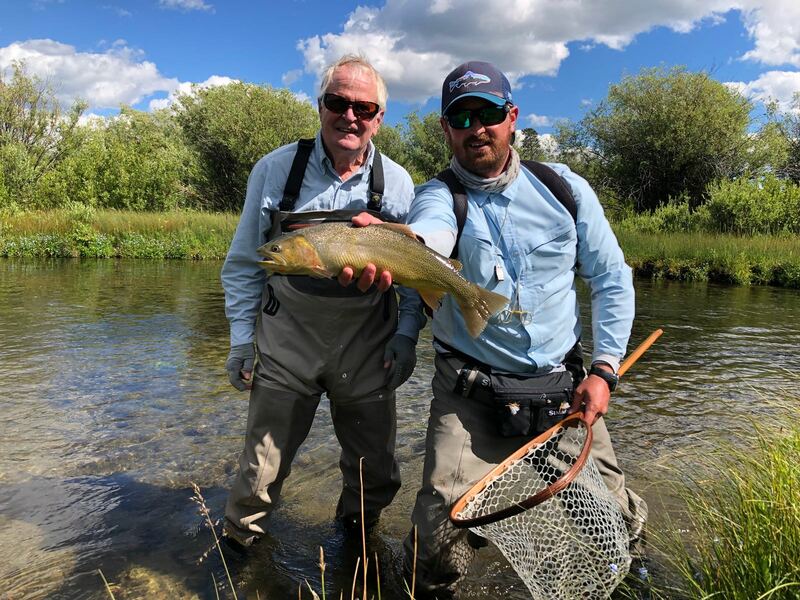 The rivers are starting to take shape in Jackson Hole and the fish are biting. 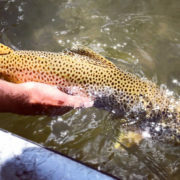 The trout on the Green have been eating big foam flies and drakes. The worm is always a good bet if you want to fish a dry-dropper. 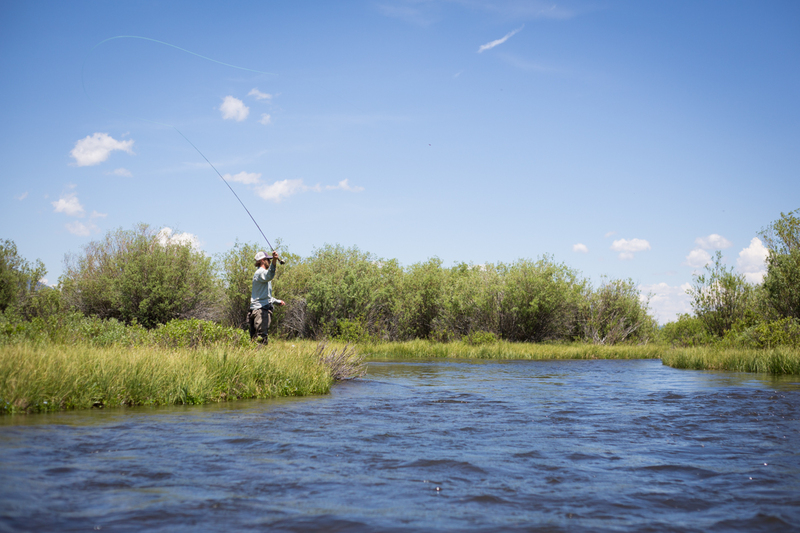 The spring creeks have seen the fish rise to similar flies…foam and mayflies are on the menu and fish are looking up. 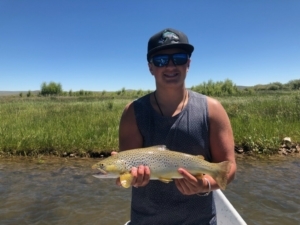 A beautiful day and awesome brown trout on the Green river. The Snake is probably a week or two from prime fishing, but it is dropping and clearing more every day. Our guides have caught fish on dries, nymphs and streamers. A Pat’s rubber leg/worm combo is a great way to start on cool mornings. As temps warm up we are seeing mayflies and golden stones hatching. Summer is here, let’s go fishing! 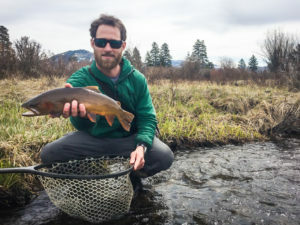 Cutthroat are eating dries on Fish Creek. 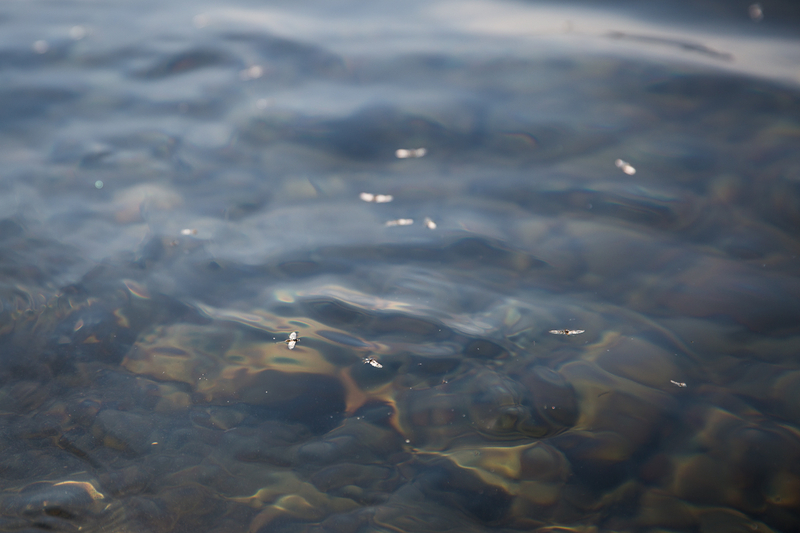 What a lovely time of year…the leaves are changing, tourist season has slowed, and the fish are still eating foam! The Snake continues to fishing well. Fishing with foam has been really consistent. 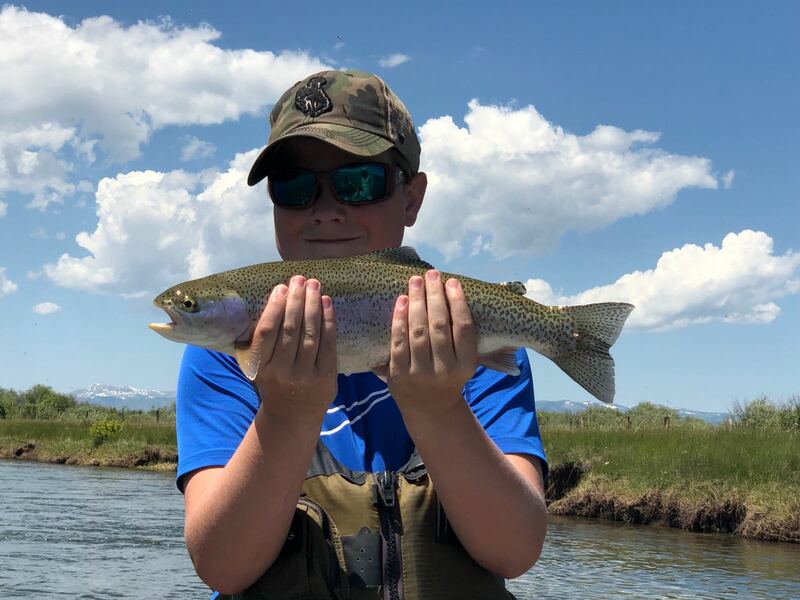 Lots of different patterns (hopper, ant, stonefly) and colors (the whole rainbow) have been working, depending on the stretch of water you are fishing. We are also seeing some hatches through out the day, mostly mayflies and caddis. PMD patterns are fishing well. There have been a few Hecuba spotted and a larger mayfly pattern can also get eats. The streamer fishing is picking up and cloud cover seems to really help get the fish moving. Look to banks, structure and riffles for the most consistent bites. Mayfly hatch on the Snake. The Snake comes into shape. 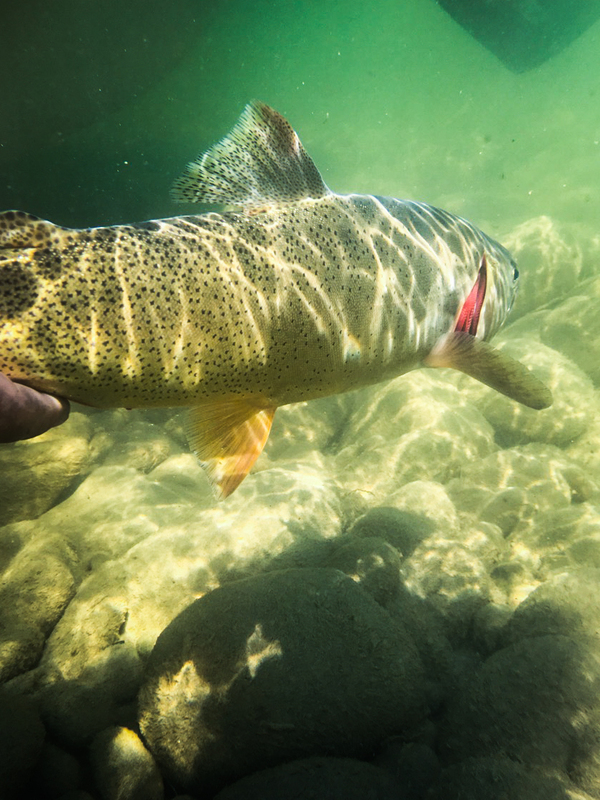 This week on the Snake saw more big fish eating on the surface, and we are excited about it! Terrestrials are getting the trout fired up, hitting a variety of foam patterns such as circus peanuts and the trusty chubby chernobyl. We are seeing the occasional PMD and caddis hatch, so these are also good choices if you see bugs flying around. A hopper-dropper is a great way to start the day as you wait for the grasshoppers to start buzzing around. Fishing on the spring creeks is still good and we are seeing nice fish come up on dries. 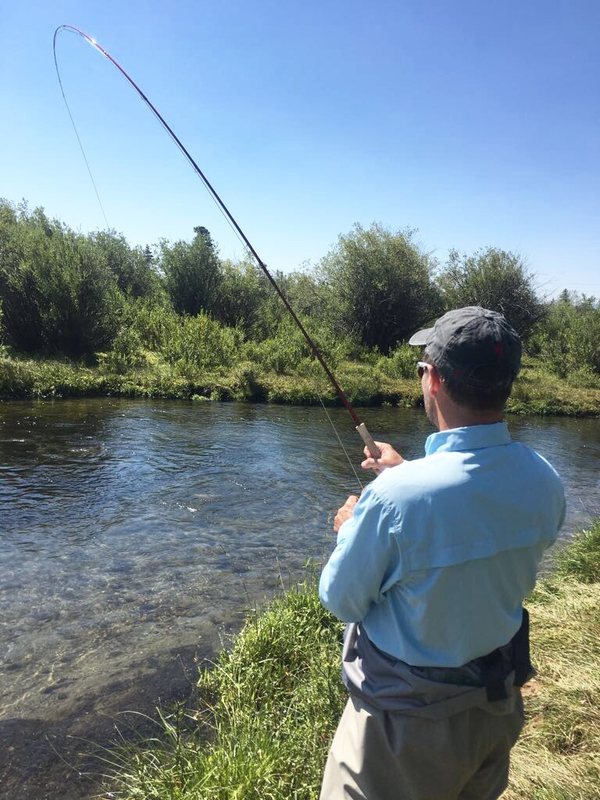 If you have a hankering to wade around a beautiful creek with big fish, this is your spot! 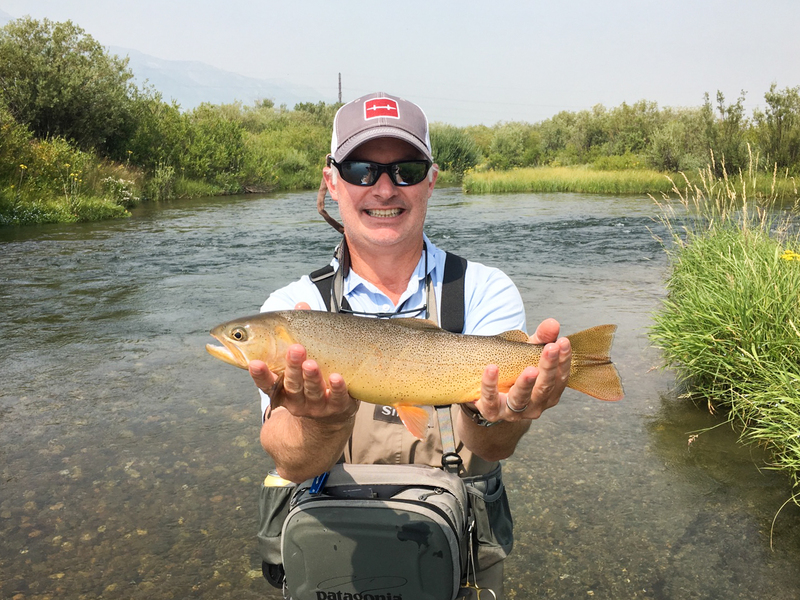 Fish Creek produces another beautiful cutthroat trout. 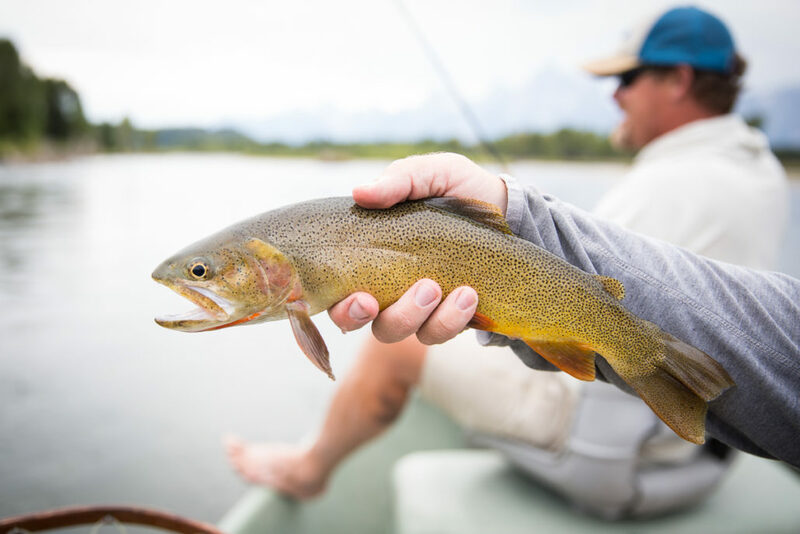 https://grandfishing.com/wp-content/uploads/2017/08/untitled-shoot-2032-e1502208950522.jpg 466 800 Amy Jimmerson https://grandfishing.com/wp-content/uploads/2018/07/GrandFishingAdventures3-1-300x117.png Amy Jimmerson2017-08-08 10:21:252017-08-08 10:21:25The Snake comes into shape. A nice rainbow caught on the Green. Wow, it’s August! 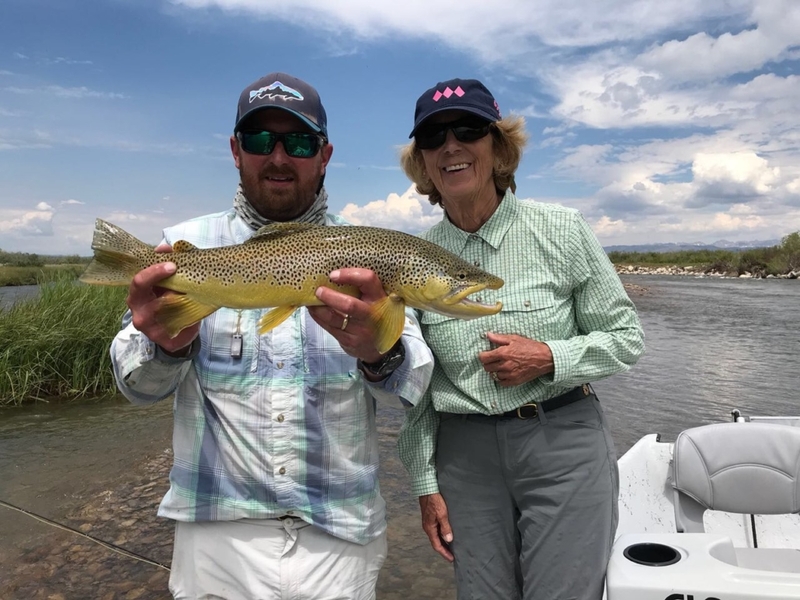 We have finally hit flows that are consistent with the historical average on the Snake and the fishing is coming into shape. We are seeing risers on chubby chernobyls and other foam, think circus peanuts and water walkers. Starting the day on nymphs (rubber legs, pheasant tails) or with a hopper-dropper is a great way to get hits as the morning warms up. The Green has seen a lot of traffic this summer, and the fish are getting wise. On the upper stretches fish are coming up to ants, beetles, and small pmds. There are big fish to be had, it is just taking a little more time and patience. Fish creek is a beautiful wade option. We have been seeing grey drakes, small yellow stones, caddis flies. 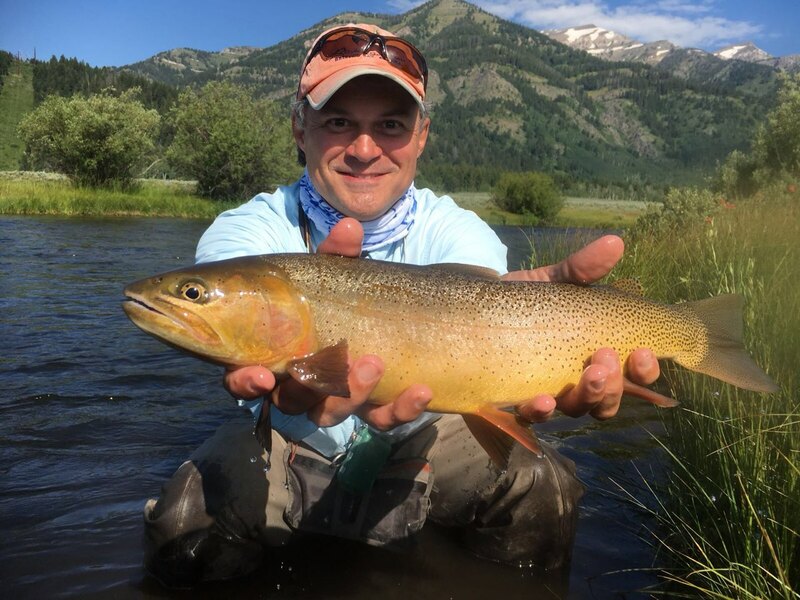 There are big cutties in the spring creeks and will come up to well presented flies. 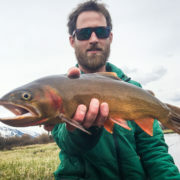 A nice Snake river cutthroat. We are getting closer to normal summer levels on the Snake every day. Clarity has improved and we are right around the corner from some great fishing. 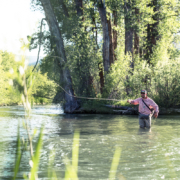 Your best bet is fishing the soft water – riffles, trenches, slow eddies and banks. That said, we are starting to see the occasional hit in quick riffles, especially on an attractor pattern. Nymphing with rubber legs and mayfly nymphs has been productive. A hopper-dropper is also a good bet, with fish coming up to circus peanuts, water walkers, chubbies…foam! Grey drake sipper on the Green river. The Green is dropping and clearing. 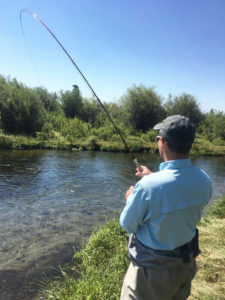 In general it is fishing best in the first half of the day, and cloud cover will often help with the dry fly bite. Drakes and chubbies are catching fish. 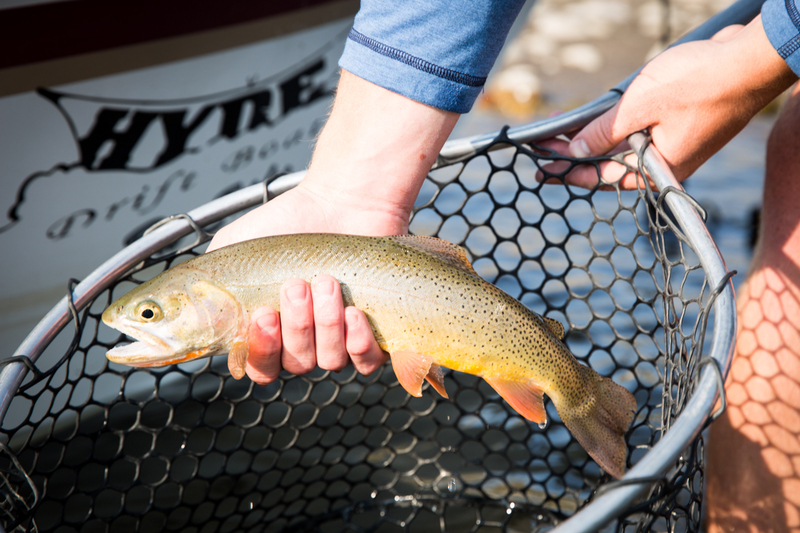 A nymph rig or streamer stripped along the bank are also productive if the trout aren’t rising. Hooked up on Fish Creek. 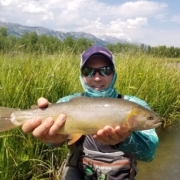 Lake creek and Fish creek are still fishing well. The bigger trout are getting a little pickier but are definitely still eating well presented flies. We are seeing a variety of bugs hatching on the creek, with PMDs and small caddis bringing fish to the surface. The trout are starting to key into foam, so hopper-dropper rigs are another great option. 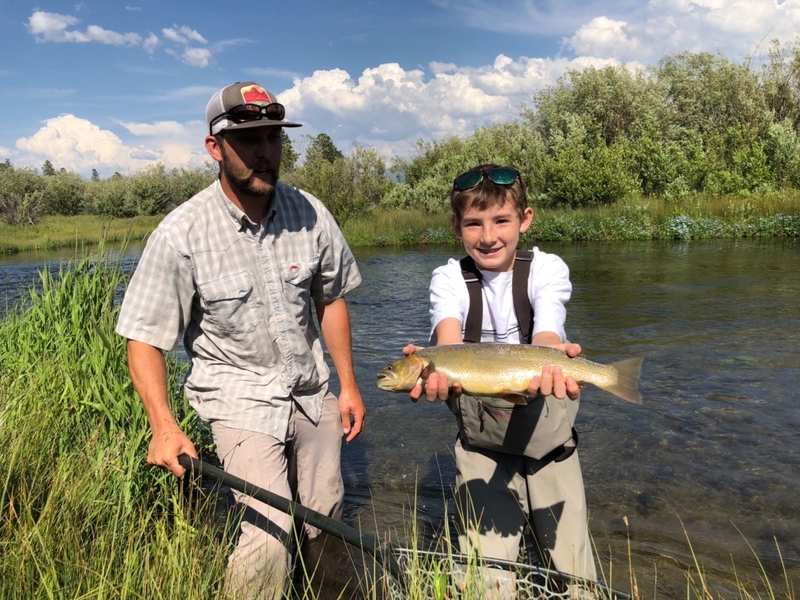 A beautiful cutthroat trout caught on Fish Creek. High water has hit the Rockies and the big rivers are running fast. While the fishing is on hold across most of the area, the spring creeks are still great options to get on some beautiful trout. 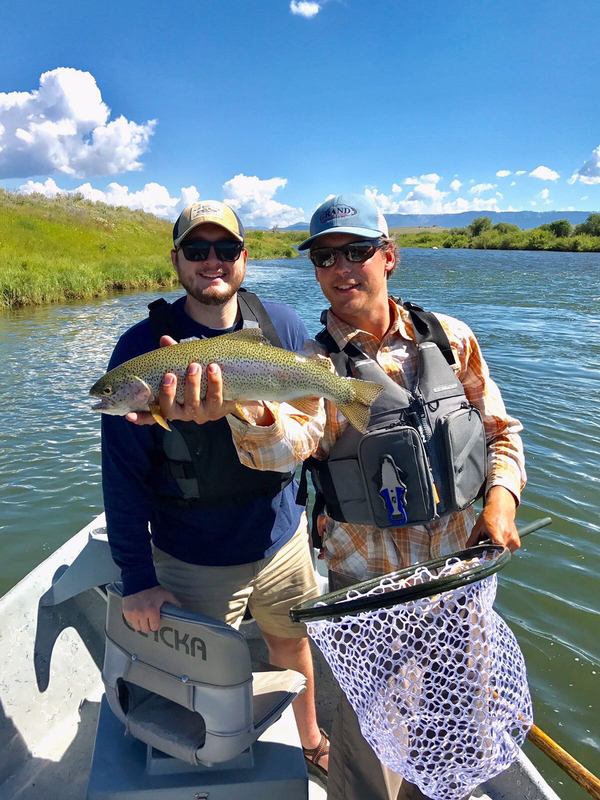 Fish Creek and Lake Creek on Snake River Ranch are waters that GFA fishes exclusively, and they have been fishing well! We have been seeing a variety of mayflies and caddis hatching during the day. A BWO or parachute adams pattern will bring big fish to the surface. When the fish aren’t eating on top, a dry-dropper rig with a pheasant tail or hare’s ear are great options. 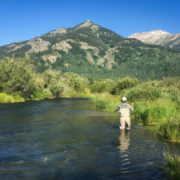 There are a limited number of fishermen allowed on these creeks per day, so you are guaranteed to have the place to yourself. This is the best fishing in the valley right now, check out our private water page for more information. Sneaking up on big trout.